Coming to think of it, isn’t this misconception something that has plagued people, from time immemorial, and from all walks of life – your blood is your blood, and anybody not sharing that blood is a stranger, an outsider. I may not have the politically correct response to that, but this I can say without doubt that when two individuals share profound love for each other: the kind of love that a parent feels for a child, or, a brother feels for a brother, which is plausible without having to share the same DNA, then the equation changes, and the idea of ‘blood is thicker than water’ does not hold any substance. However, majority of our population has been raised with such a concept that blood is thicker than water, and once again, I do not possess the authority to challenge that adage, but yes, this is what I can say with certainty – first, speaking about the physical properties such as viscosity etcetera, blood may indeed be thicker than water, but there ends the relation, and second, without water there is no scope for blood to make more blood, so for me, together, they are essential to one’s life. I have always believed that bonds aren’t biological. My first book’s preface indicated the same. I reckon that it isn’t such a foreign thought to each of you as well, and you have all felt deep love for someone who isn’t related to you by blood at some point in your lives. And that this love is far stronger than what you might have felt for those related to you by blood. We cannot attempt to vanquish something that is so acutely ingrained in society, but we can definitely wish that people embraced those they love, with the same inclusion, as they would their kin, and that in matters such as these it would be prudent to follow our hearts and not entirely our minds. For that is the wonderful thing about love, isn’t it – it is just as great a gift for the giver as it is for the one who receives it. 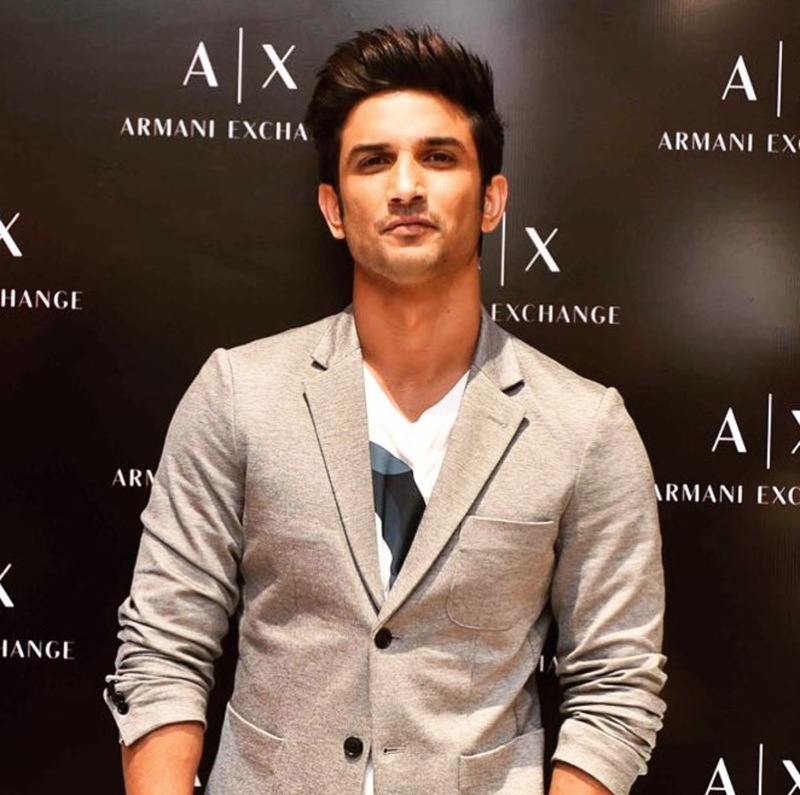 “What if Sushant was not popular. How would you have met him? Do you think that you love him a little more because of who he is? Would you have missed giving him that love, if he wasn’t your Chotu (little brother) as you regularly address him as?” asked the journalist friend in the same conversation. I do agree that if my Sushant was not in the profession he was in currently, then the chances of meeting him, considering the geographical differences, would have been slim, but god has his unfathomable ways of bringing whom he wants to bring together even if one were to be on the opposite side of the globe, where it might take a year, or it might take a day, but what is meant to be will always find its way. Likewise, this may perchance sound mystical or barmy even, but there is far more to connections than what our common mind might conjecture about them. There is something galactic that entwines people in such glorious ways that once their paths cross, life without them can seldom be the same. And such intergalactic clashes happen with such unfailing intensity that the union stays unbroken until the ones involved in it do not breathe their last. What’s more? You don’t have to be in each other’s face all the time. You don’t have to be involved in each other’s life all the time, and yet that attachment is so powerful and sturdy and unwavering that verbal expression might not quite be able to communicate the exactness of what the feeling means to those who are living within that circle of blessed bliss. Becoming someone famous is about timing, or even about luck. Agreed, my Sushant’s hard work, coupled by the benevolence of the creator, has led him to be where he is. And we, the family, respect that from the deepest echelons of our hearts. But we, the family, don’t love him because of what the world thinks of him, or what he is to the world. We love him for him. And even if he were not what he is now, our love would never diminish. It is not tactile; it is embedded within the nucleus of our hearts, or the soul, if there is something such as the soul. As for ‘would I miss giving my Chotu that love’ well, I am a much better human being because of the love he gives me, and I try in earnestness to be more like him with those around me like he is to those around him. Remember that love should not be based on nature or stature, just as some relationships aren’t based on what you can get out of them, but rather whirl on what you can give them. Remember, nearly everything in life should be based on the fibre of the love you feel for whom you feel it for and nothing but. Remember, that when it comes to your brother, love can ebb and flow: we feel different at different times, but it cannot whiffle waffle with time or tide – it ought to be unconditional. Timeless. Remember that love is universal, but brotherhood is exclusive. Just a heads up – this planet is taking us at 30km/sec toward our finality. Let’s make sure we Live ‘today’. And I still wonder why we have the unnecessary EGO and PROBLEMS. Let us all simplify our lives and love and live with others peacefully. Let those words sink into you. Be kind. Be humble. Love. That’s all that matters.